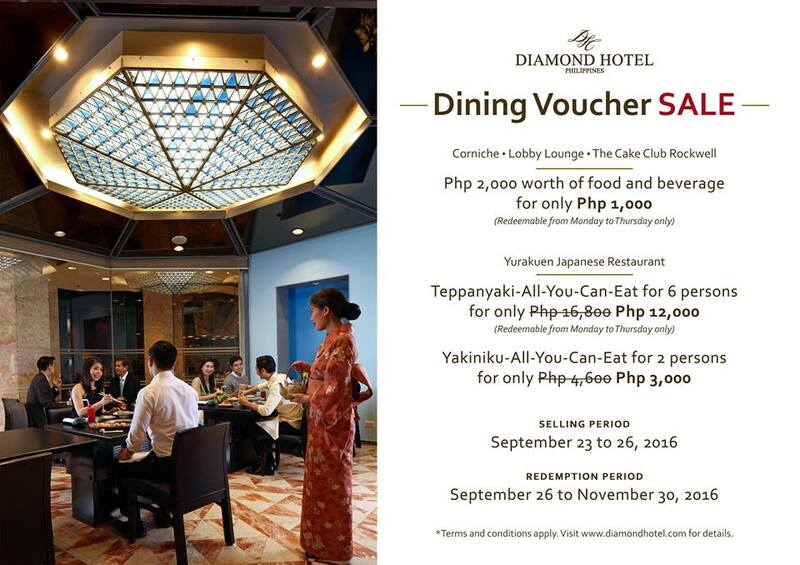 Check out Diamond Hotel's Dining Voucher SALE happening on September 23-26, 2016. 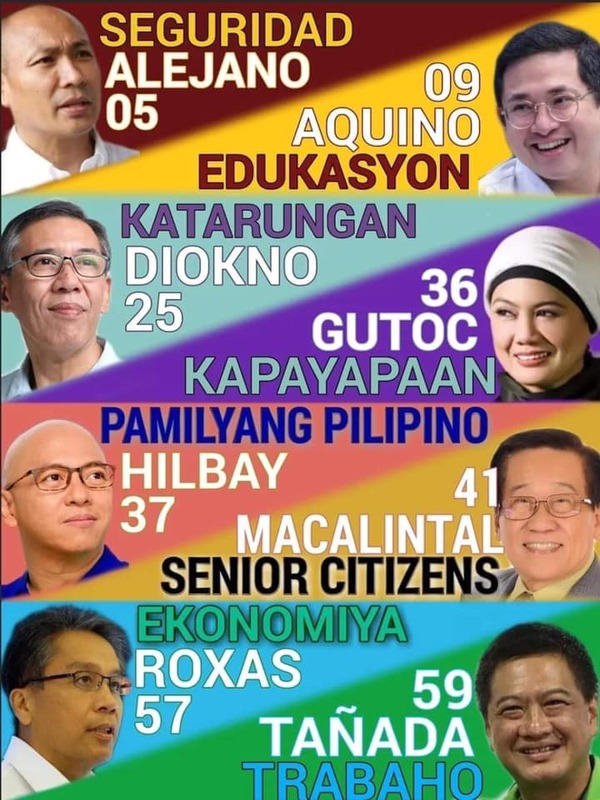 Redemption period: September 26 to November 30, 2016. Get P2,000 worth of food and beverage Dining Voucher for only P1,000 - redeemable from Mondays to Thursdays at Corniche • Lobby Lounge • The Cake Club Rockwell. Get P16,800 Dining Voucher for only P12,000 at Teppanyaki-All-You-Can-Eat for 6 persons; and Get P4,600 Dining Voucher Yakiniku-All-You-Can-Eat for 2 person for only P3,000 at Yurakuen Japanese Restaurant. Vouchers are redeemable from Mondays to Thursdays only. The vouchers will be available for sale at the Corniche Restaurant reception. 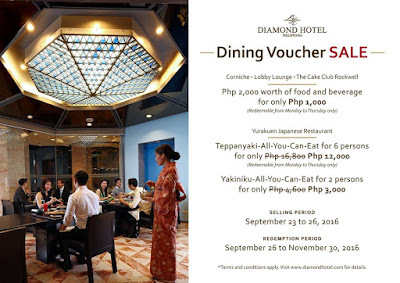 Voucher can be used as full or partial payment for any food and beverages availed at any of Diamond Hotel’s participating restaurants. Voucher is valid for dine-in and/or takeout orders. Face value amount of voucher must be redeemed in full; no change shall be given for any remaining amount on the voucher. Maximum of five (5) dining vouchers per visit is allowed. 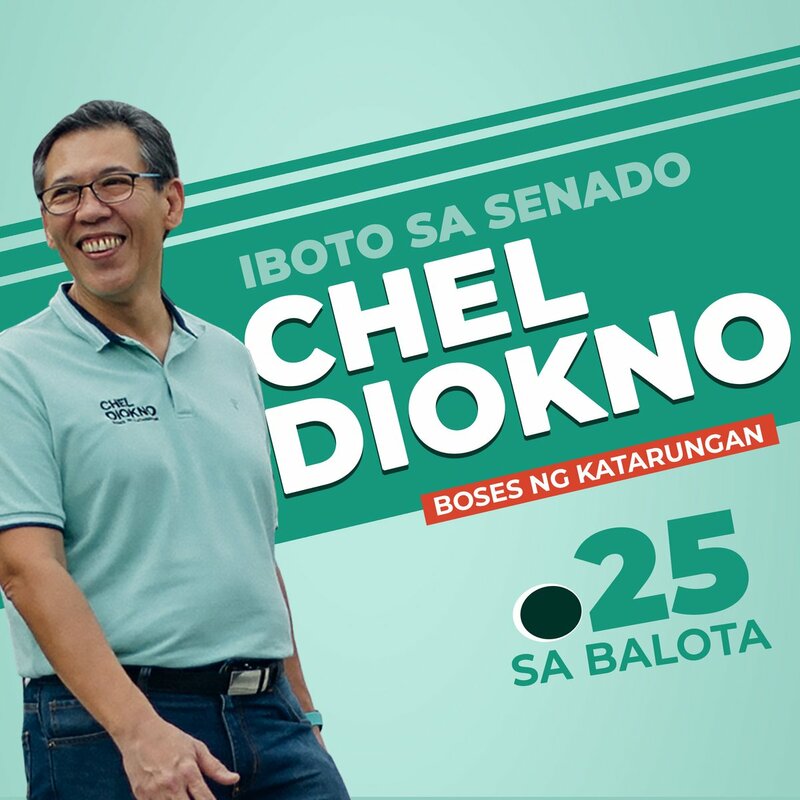 Voucher cannot be exchanged for cash, nor replaced when lost or stolen. May not be used in conjunction with other promotional offers and discounts.